MONTREAL, QC – Brewpub chain Les 3 Brasseurs/The 3 Brewers has announced the release of its newest monthly feature beer. This Saison is inspired by the Westhoek region (Maritime Flanders). Its rustic (Rye & Spelt) farmhouse profile resonates with the spicy and fruity notes of the Barbe Rouge hops and Saison yeast strain, dry & thirst-quenching finish. 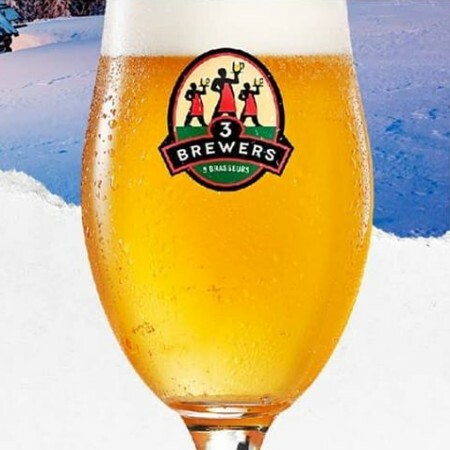 Rustic Whiteout/Rustique des Neiges is on tap now at all Les 3 Brasseurs/The 3 Brewers locations in Quebec and Ontario.